Today, we're looking at another keyboard, only the third profiled at this site. Today's example comes to us from Coolermaster, the Novatouch TKL. Where most mechanical keyboards seem to be targeted at the gamers among us, this is intended more for people who cannot seem to stop typing words and sentences. 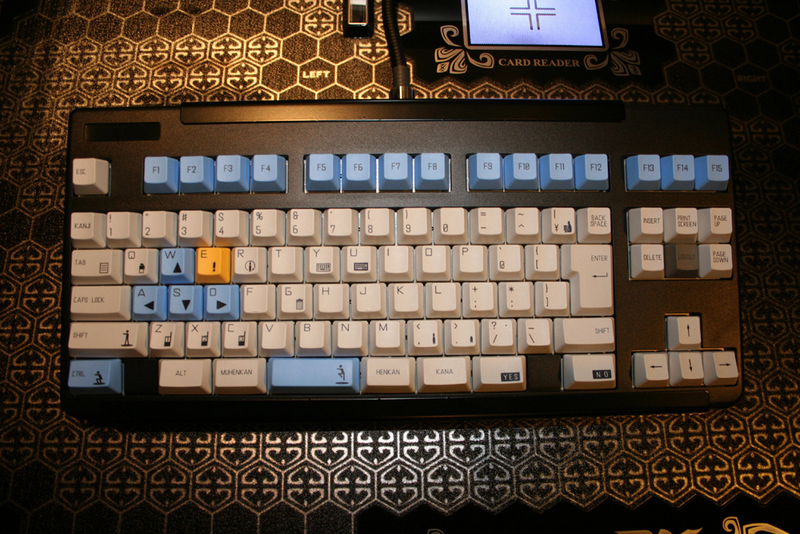 Using electrostatic capacitive switches, this very costly keyboard promises to keep writers' hands happy. We're going to see if it really does. Not really a gaming keyboard, though. As soon as they offered one and I found out what switches it had I was all over it. That said, I think I'll make some changes to my methodology for keyboards. I hate scoring aesthetics, so I might change that section to a more "look and feel" type of deal. Looks can still play a part in that score, but I want to shove it to the back burner. Also want to change my timeframe of use for each keyboard review. I gave this one a little over a week, and that's not long enough for me to get used to a new keyboard. Even one with these switches. I think I'll give them a full month from now on. Lighting does not a gaming keyboard make. And that's your prerogative. I'm not saying the keyboard is bad because it's not a gaming keyboard. I'm simply saying it's not a gaming keyboard. I for one use my macros and my easy to access audio controls and Windows lock key. And, you forgot to mention, the contoured WASD key caps for three finger action, which doesn't bother me at all when doing regular typing. They're two different customers. You can like what you like and I'll like what I like. The reason for my comment was because this keyboard is Cooler Master branded, but not so much that is that Cooler Master branded it using their "gaming division" logo. Cooler Master offers laptop stands, phone stands, tablet stands etc... a bunch of "non-gaming" product. Why try to pawn this off as a gaming keyboard? They could actually get more traction with people that just want a damn good keyboard by NOT associating it with gaming. The lack of 10 key would bug me too. And that certainly has nothing to do with gaming. I type Â° and € and Ãœ and Â± way too much to do without a 10-key. I mean.. I can see doing without. Some people don't have enough space for much more than the standard 87 keys. The irony isn't lost on me that someone that would want to be able to have a typists keyboard would be ok with not having the 10 key when a gamer would appreciate it more because it would give them more room for a larger mousing surface.